Lord Jagannath is always remain in the heart of all Hindu.Have you ever seen all besha of Lord Jagannath,Lord Balabhadra and Devi Subhadra. 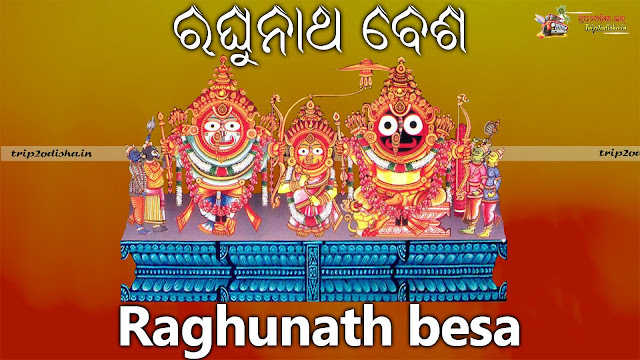 Everyday from morning to night the goddess on the Ratnavedi wear different clothes made of cotton and silk fabrics, Gold Ornaments,flowers,tulsi leaves etc. 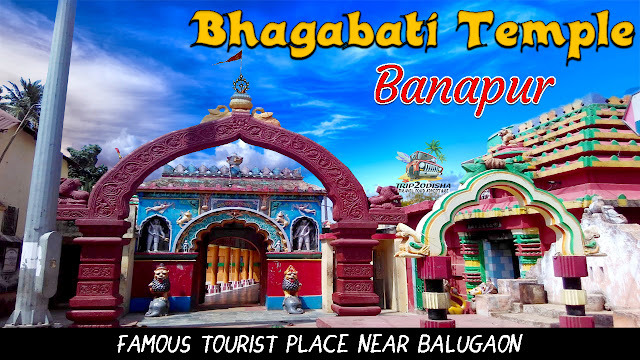 The sevaks of temple who dress the goddess with clothing and flowers are known as Singharis. 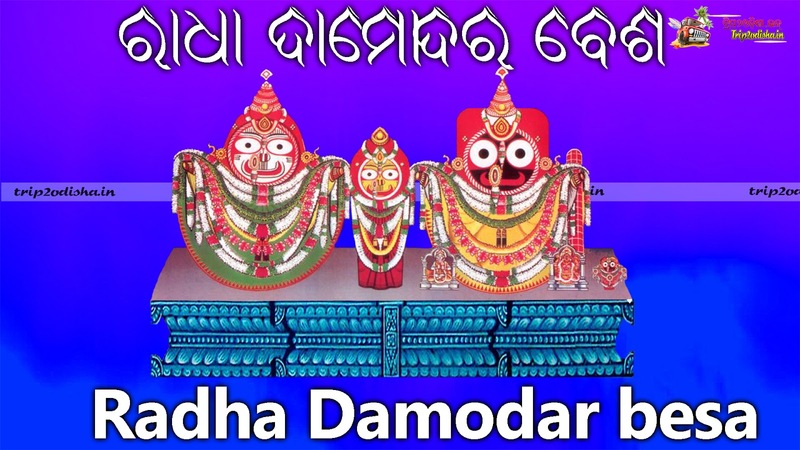 So,Here we present all besha of Lord Jagannath,Lord Balabhadra and Devi Subhadra. Everyday the besha is done after Mangal Alati. The act of Brushing and Bathing is known as Abakash besha. 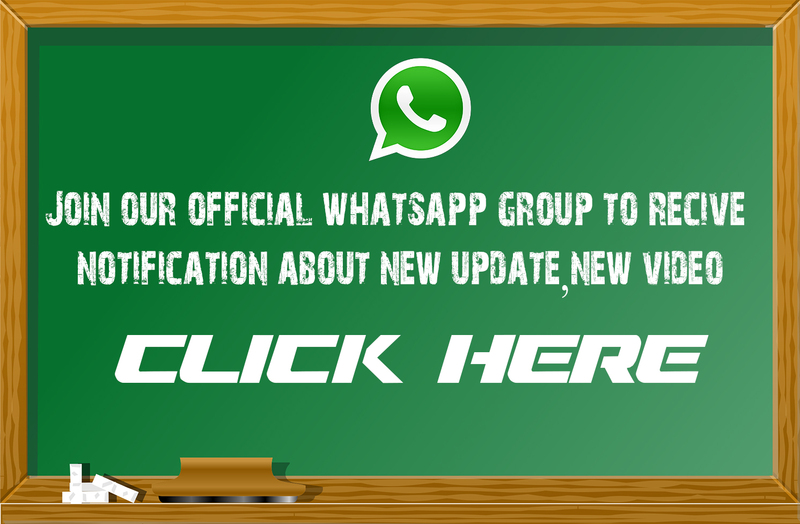 This besha is done everyday before Ratra pahuda. 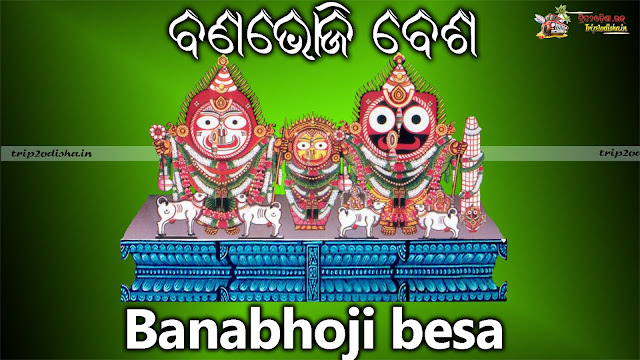 In this besha goddess decorate with variety of flowers. This is a famous besha of Goddess.This besha happens 5 times in a year.Generally this Besha will be organised on Bijaya Dashami,Pousha Purnima,Dola Purnima,Kartika Purnima and one special in Asadha sukla ekadasi after car festival on the chariots .In this besha goddess wear very heavy ornaments made of gold. This besha takes place on the new moon day of the month of Magha. In this besha lot of lotus use to decorate the god. The Gaja udharana besha done on Magha Purnima. This besha based on how lord Vishnu save helpless elephant from the grip of crocodile. 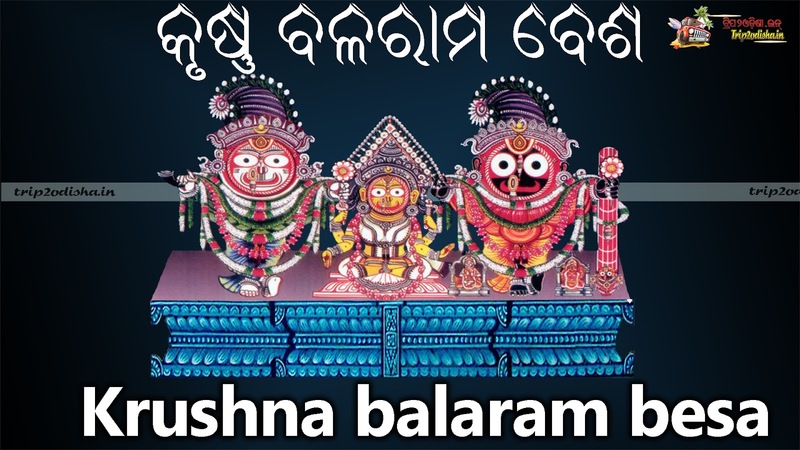 This besha will organised on the occasion of Snana Purnima on the month of Jyestha . 9 days Before car festival the bathing ceremony of god will happens.in this ceremony god take bath in 108 Gara scented water after that this besha is held. 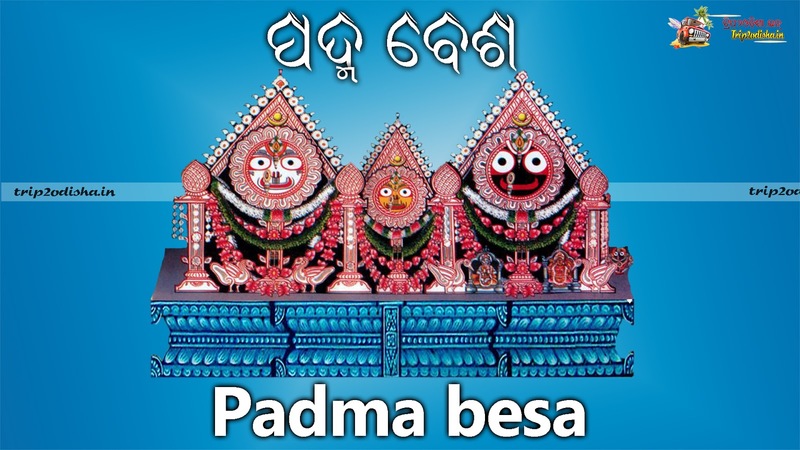 This Besha is organised during the period from the 6th day of the bright fortnight of Margasira to the 5th day of the bright fortnight of Magha(Basanta Panchami), the goddess wear this wonderful winter clothes. 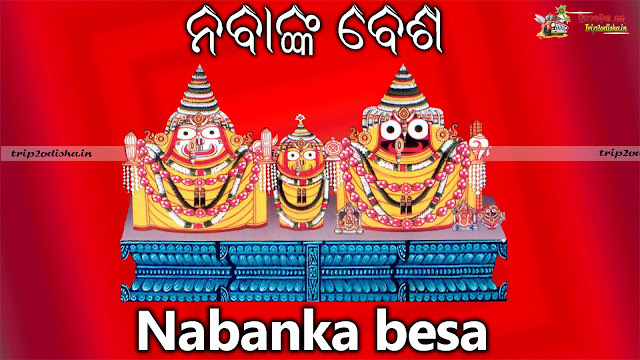 This besha take place on the previous day of Makar Sankaranti. This besha is done on the 10th day(Krushna Dasami) of the dark fortnight of Bhadraba. The goddess are dressed like they are going to picnic. 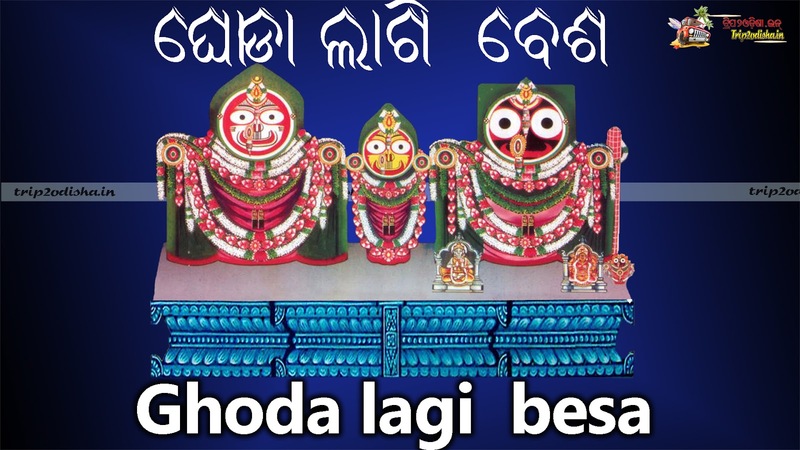 This besha organised on Bhadraba krushna Ekadasi tithi. 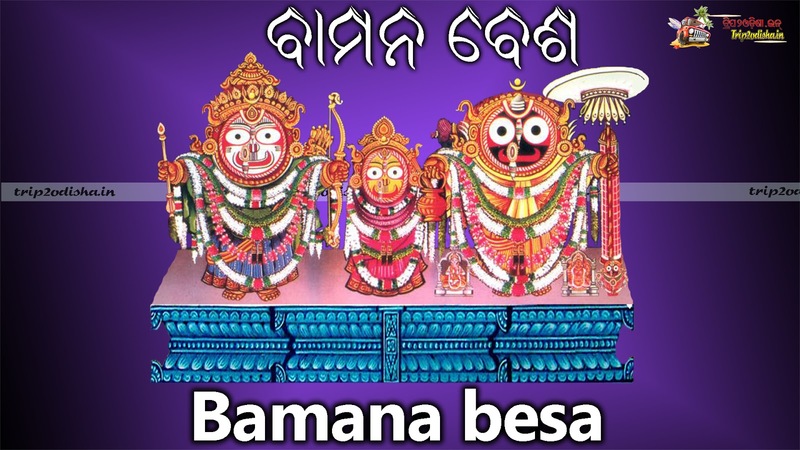 For this besa a huge big snake is built.The hood of the snake is placed at the feet of Sri Jagannath at the time Besha . This Besha is continued till completion of Sandhya Dhupa. 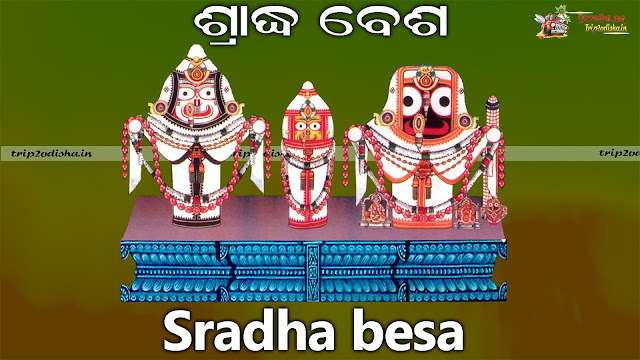 This besha is celebrated on Bhadraba Krushna Dwadasi every year. 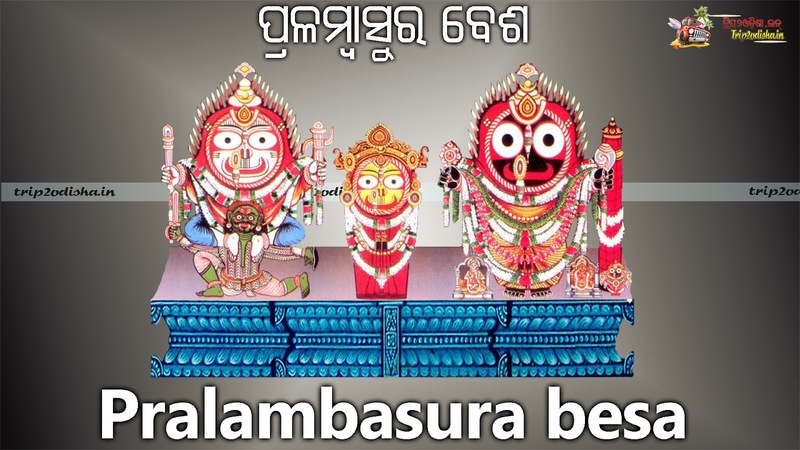 A Demon , Pralamba was killed by God Balaram. So in this day goddess Balabhadra wear this costume. 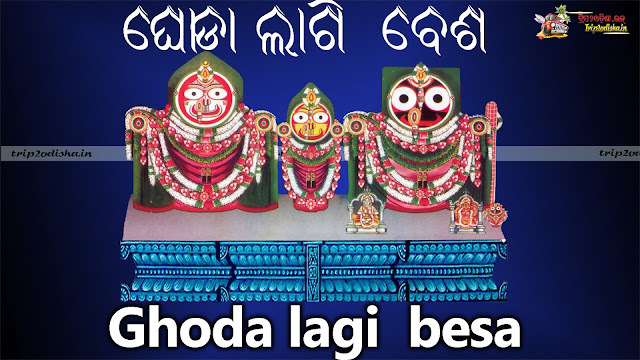 This besha is organised on Bhadraba Krushna Tryodasi(13th day of the dark fortnight of Bhadraba) in evening time. 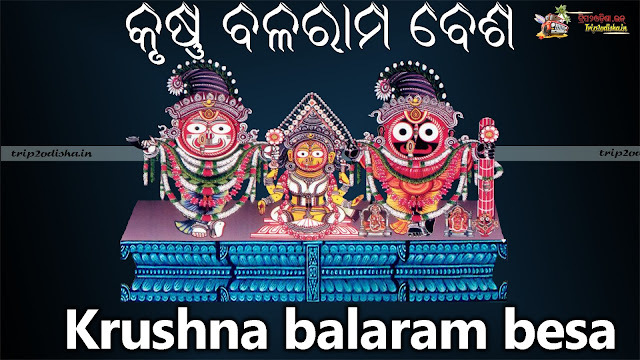 In this besha Goddess dressed like Krushna and Balaram. 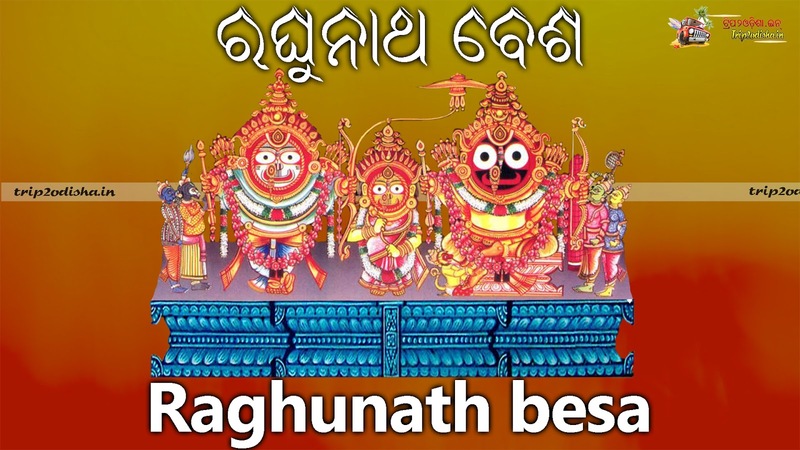 This vesha takes place from the 11th day of the bright fortnight of Ashwina (Sukla Ekadasi) to the 10th day of the bright fortnight of Kartika(Kartika Ekadasi). 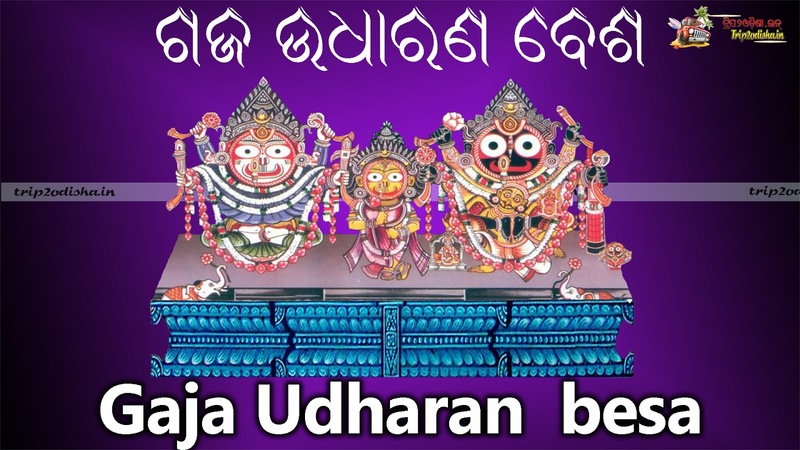 It is Organised on the 11th day of the bright fortnight of Kartika (Kartika Sukla Ekadasi) tithi. The another name of this besha is Thiakia besha. This besha celebrate on Kartika Sukla Ekadasi (12th day of the bright fortnight of Kartika) tithi. This besha similar to the Laxmi narayan besha with addition of gold ornament on head. 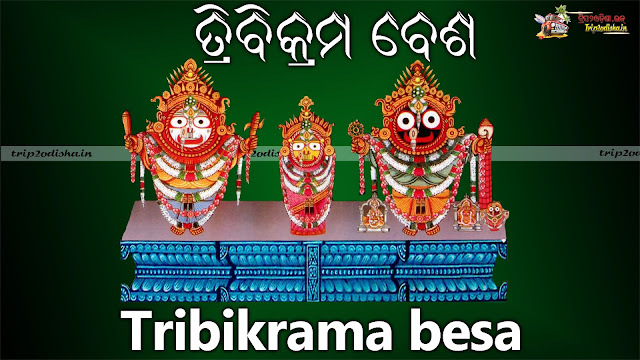 This besha is done on the 13th day of the bright fortnight of Kartika (Kartika Sukla Trayodasi) tithi. 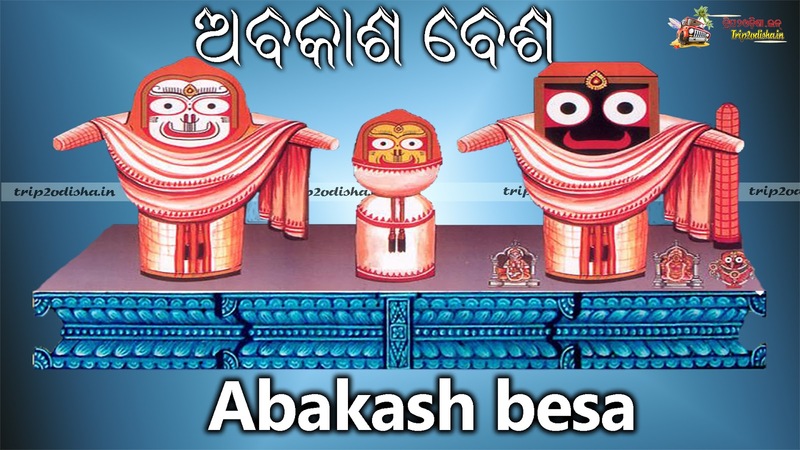 This besha is also known as Adakia besha. 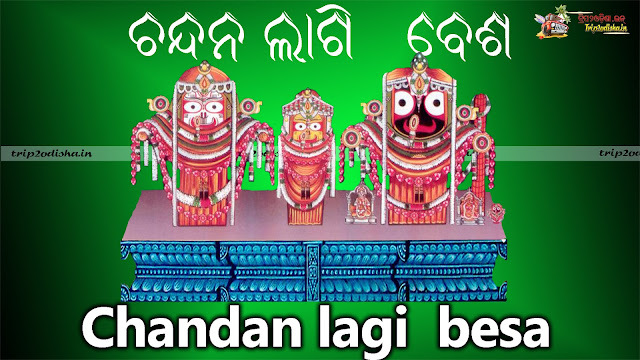 This besha organised on 14th day of the bright fortnight of Kartika (Kartika Sukla Chaturdasi) tithi. This besha is also Known as Dalikia besha. 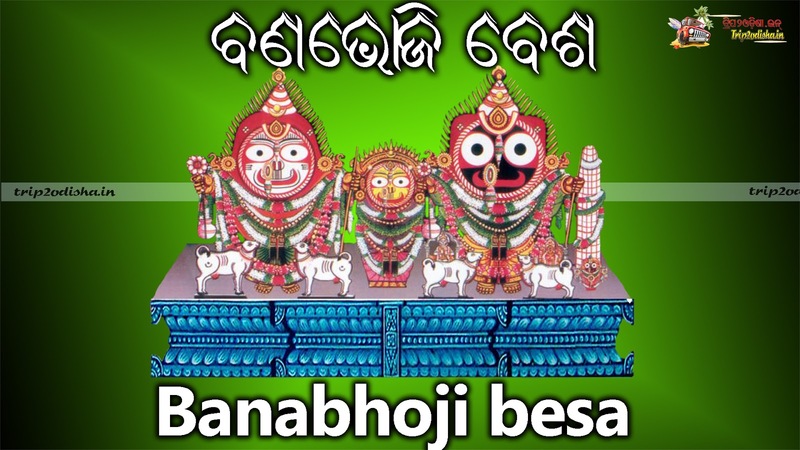 This is a rare besha of goddess celebrate in such year in which there are 6 days of "panchuka" in the month of Kartika. This besha is organised on the 12th day of the bright fortnight of Bhadraba (Bhadraba Sukla Dwadasi) tithi. Baman is 5th avatar of lord Vishnu. 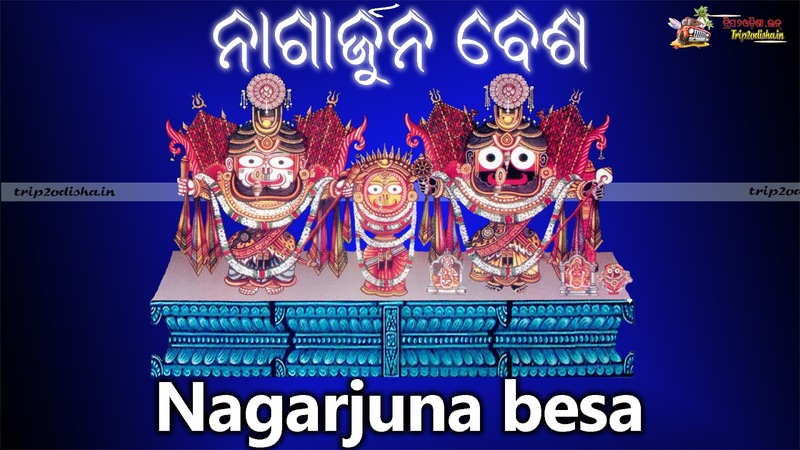 This besha is organised for 3 days in the month of Margasira (Margasira Krushna Chaturdasi,Amabasya,Sukla Pratipakhya) tithi. 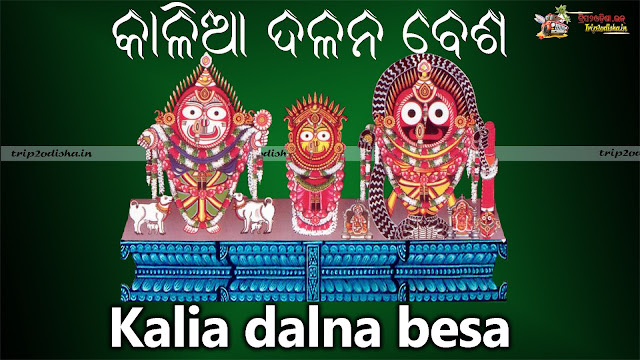 In this besha the goddess offers shrdha to their parents Dasaratha,Nanda & Vasudev. 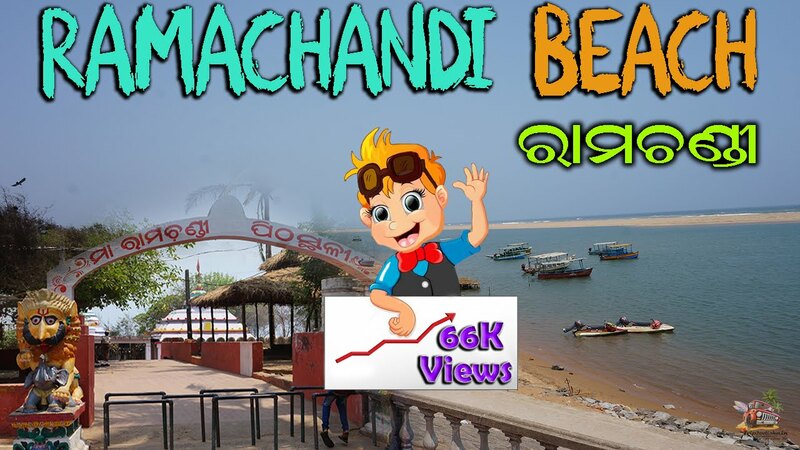 This besha is done before Chandan Lagi besha. 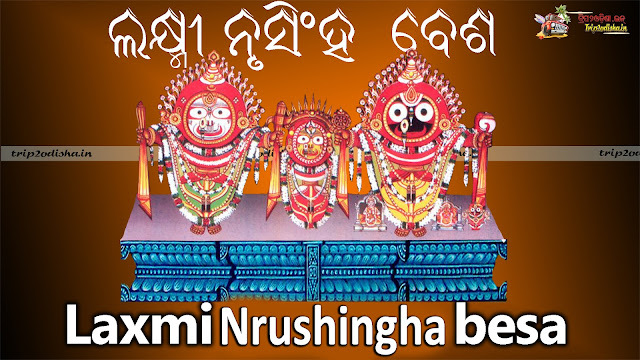 This besha takes place for five days from Phalguna Sukla Dashami to Chaturdasi. 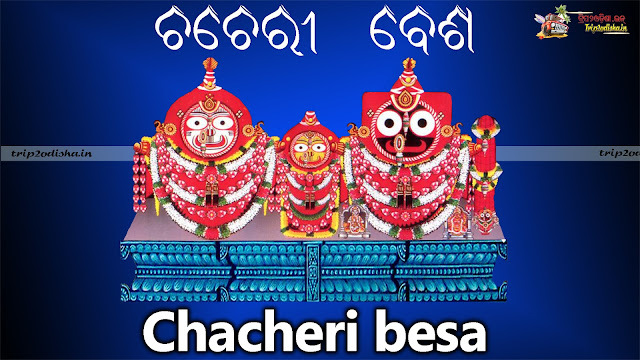 This besha is celebrate in the month of Chaitra. But now it is discontinued. 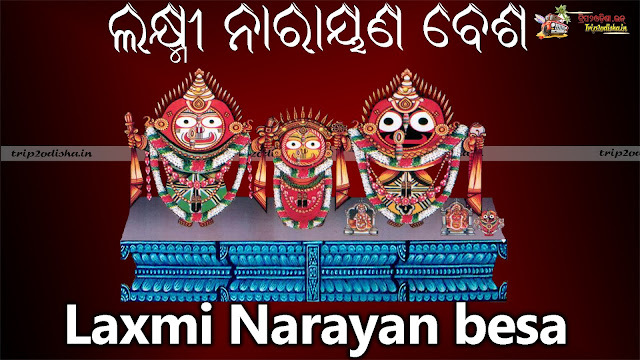 This besha is takes place in Kartika Purnima tithi. 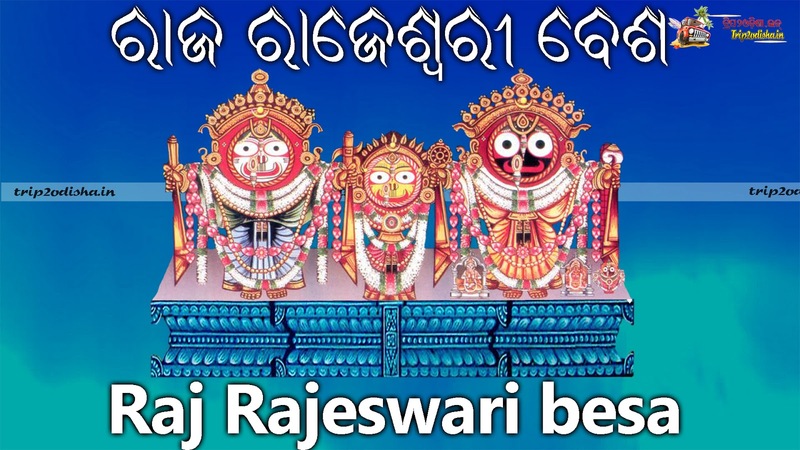 This besha is organised on the month of Baishakha & Jyeshtha. 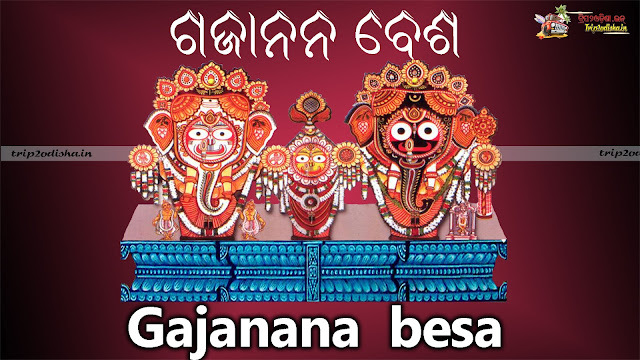 In this besha the attendant of goddess apply the chandan (Sandal) paste on the body of goddess. 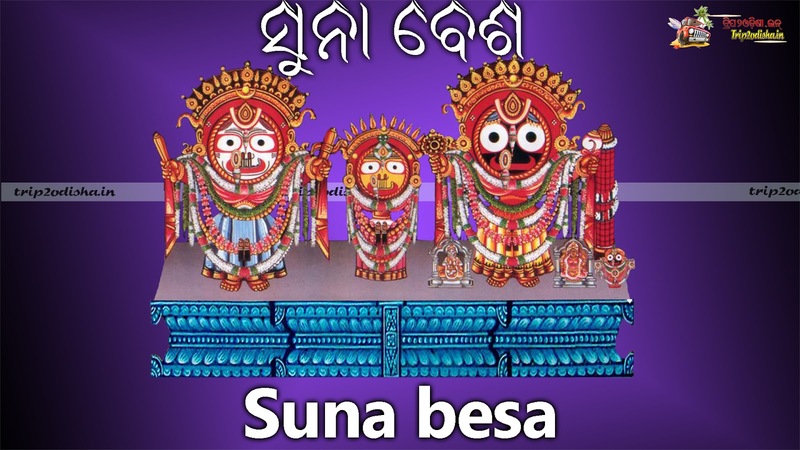 This is all besha of Goddess. 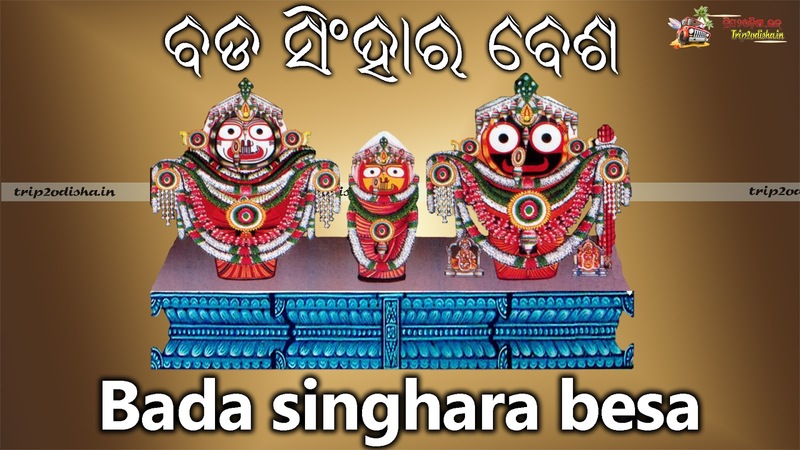 Hope you all know about the besha of lord Jagannath,Subhadra& Balabhadra.